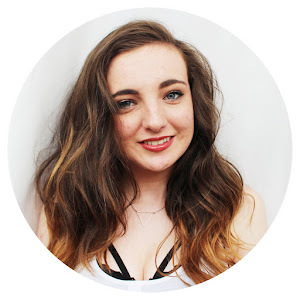 So i'm writing this post entirely as I go, so sorry if it turns into a bit of a rant, I have a feeling I could go on for ages, but i'm going to try and keep it short but sweet, so here's some of my beauty pet peeves! When you can obviously tell that people have just literally taken a pencil and drawn over their eyebrows, yes, I hate that. It looks just as ridiculous as people who have overplucked their eyebrows, to the extent where there is barely any eyebrows left. Picture the scene, you've just applied a coat of mascara, it looks really pretty, and you're just waiting for it to dry. When suddenly, you get that oh so familiar tingling feeling in your nose....you sneeze.. spoiling your mascara. I hate doing this, because I've got into a really bad habit of once one bit is chipped, instead of waiting to paint over it when I go home, I pick the polish off every single other nail.. It goes around your ponytail/bun fine two times, but it's not tight enough to stay in, yet it's too tight to go round another time. I'm pretty sure most girls can relate to me there. You know those people who's faces are orange, but their neck is white? I just want to go up to them and shout in their face "blend, blend, blend!" I hate when you see bloggers raving about a product, and you decide you really want to try it, only to find out it actually isn't available in my country. I do this too often.. I like one of my eyes, but I decide the other needs a little bit more mascara, then they're uneven, so I go back to the other eye, and before I know it, my lashes look like spiders. So annoying. I think i'll stop there, although I could go on forever! Do any of you agree with any of these? 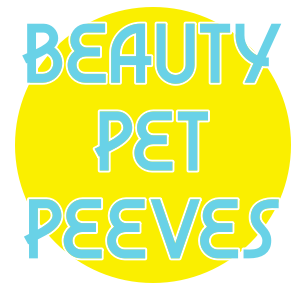 What are your biggest beauty pet peeves? Oh God, the hair tie situation is so so annoying!